Colourful Rainbow, brook amd brown trout swim around in a sea of black. 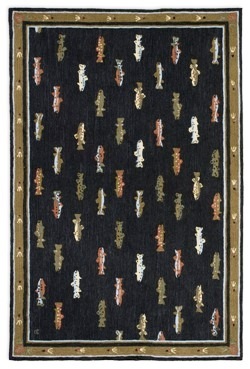 This rug has tons of character and leaps to life. 100% New Zealand hooked wool rug. Designed by Laura Megroz. Item: FRU4C03800 Price: $800 ea.